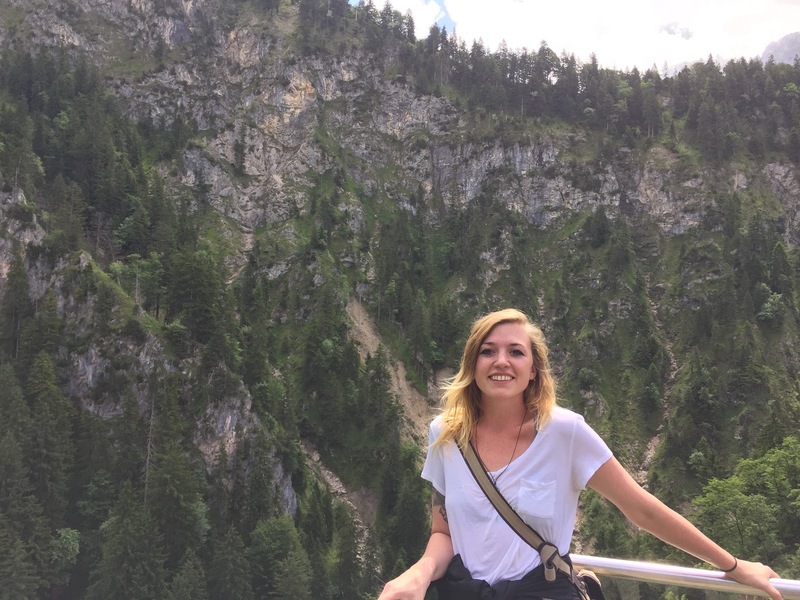 This week we caught up with Karsyn Kendrick, a senior at UGA with a passion for helping others and a special interest in the German language and culture. What interested you most about joining the Spencer Frye Fellowship Program? I initially was interested in gaining experience in some sort of political arena. Once I met Representative Frye I realized how invested he was in serving the local community. It’s nice to see politicians who really care about the people they are representing. Working for someone who has invested so much time in working for the community through Habitat for Humanity and representing them at the capitol was important to me. I can confidently say that the person I am working for really cares about what he does, and I don’t know if most people in politics can say that. What is your role within the Spencer Frye Fellowship team? In addition to writing blog posts, I intern every Tuesday at the capitol. I mostly work on bill memos and legislative research. The interns at the capitol as well as the rest of the fellows sift through the legislation that is on the docket to find out what it does, what it changes and who it may affect. Each intern has his or her respective research areas. I personally focus on and follow tax reform, transportation and MARTA legislation. This session there has been a lot of talk about MARTA expansion which is an incredibly exciting prospect for the future of Atlanta and Georgia. On the surface, I have learned how to write and read legislation, how the legislative process works, and what a lawmaker does during legislative session. More than that, I have learned that change does and can happen given enough time and concern. Every day at the capitol isn’t about the big controversial issues. It is about people working together to make the state a better place to live. We have people that care in this world and in this state. In addition through the fellowship, I have learned a great deal more about Athens and this community. We have had the opportunity to visit various nonprofits in Athens and meet the people that are working hard for this area. I really enjoy politics and especially international affairs. I love the intersection of domestic politics and international outcomes. As a German minor, one of my major life goals is to become fluent in German. I think it is important for people to make an effort to understand and immerse themselves in another culture and language. I love the UGA campus. I feel challenged here, and I feel like I am in an environment that is constantly buzzing with activity and excitement. I have such a lame answer, but my favorite place on campus is definitely the 6th floor of the library. There is a great table up there in the corner with an incredible view of the campus. My favorite band from Athens is probably the B-52s. Who doesn’t like Love Shack? Hilary Clinton’s Hard Choices about her tenure as Secretary of State. My favorite country I have ever been to was Germany. I backpacked around Germany and Eastern Europe last semester, but I think Berlin was the most incredible place we went. The people were very welcoming, and it was amazing to be in city where you can feel and see the history. I don’t really know where I want to be in the next couple of years. I think life is more about experiences than work. I am planning on interning with an environmental organization in the fall, and I will hopefully land a job out of that. If not, I want to au pair in Germany for a year and learn the language. I have about 5 different life plans that I am constantly stressing over. If you could fix one think about the current world we live in, what would it be and why? I think there should be a stronger emphasis on cross-cultural exposure. If there was more emphasis, especially in the US, on learning other languages and appreciating other traditions, we would have a better informed and more widely knowledgeable public. 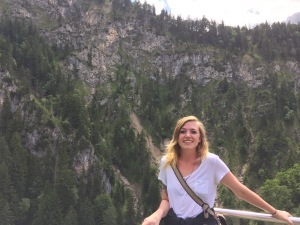 My greatest experience was getting to study abroad in Germany this past summer. We studied in Freiburg, a small town close to the border of France. They are known for the influential politics of the Green Party and the success of their sustainability practices. Politics are how things get done. Regardless of your system of government, regardless of its efficiency, things get done when people who care take the time to fix problems. I want to fix problems in this world. I want to reinforce strong international relationships and cooperation. We need to remember that we are all in this together. The future of the planet is dependent on our cooperation. An interesting fact is that I am planning a huge cross-country road trip this summer with one of my good friends. We are driving out to California and hitting all the national parks and roadside attractions. I am also fascinated by Native American culture and anthropology so we will be visiting Chaco Canyon and other historical parks.